By definition, a dilemma is a situation requiring a choice between equally undesirable alternatives, or any difficult or perplexing situation or problem. 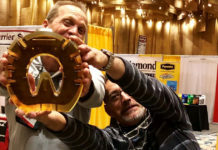 And I’ve got one—a big one. My No. 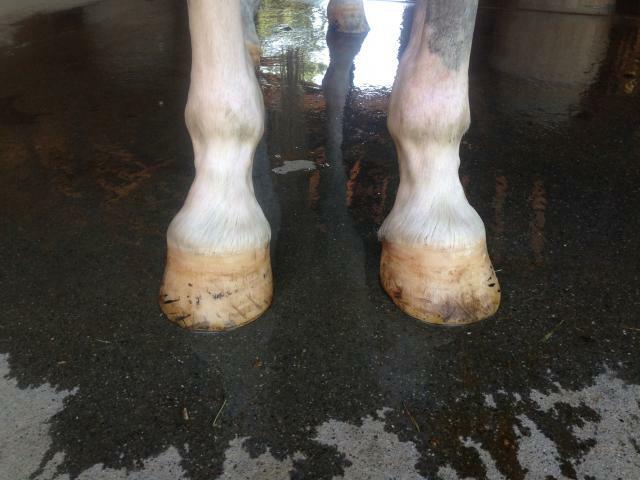 1 horse M Dash Czoe (Zoey) has developed an unusual lameness. My dilemma is this: Tevis is now less than five weeks away. Do I just sit this year out and breed her early (tentative plan is to breed her after Tevis), or do I try to get her sound again so I can ride her? My gut says sit it out. I'd rather not go at all than take a horse that is less than 100%. It's too hard to get through the Tevis, and I don't want to get pulled. My hopeful heart says don't give up so easily. Maybe it's something minor that can be resolved. I'd like to take a long nap and get back all the sleep I've lost so far over this dilemma. The problem started in April, on the 24th to be exact. My regular barefoot trimmer Rachel Rezos (former EasyCare Dealer of the Month), injured her back and was sidelined for awhile. I had a race coming up on the 26th, so I called a farrier I knew and asked if he could trim my horses. He had been filling in for Rachel in my area. My horses are trimmed every four to six weeks, and I am diligent about maintaining them between trims. 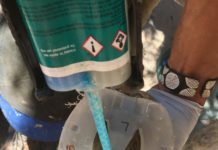 I typically have my horses trimmed two to five days before an event so that I can apply the Glue-On boots onto freshly trimmed feet. Rachel and I have a good system that has been working well for me. My horses just needed a “buff and scuff” so I could apply the Glue-Ons. Normally I would do this myself but I had four horses to trim and it was more than I wanted to take on. Zoey has significant high-low syndrome. Her right front foot (the “high” foot) is borderline club foot, although it is straight. The right foot is also smaller than the left. For two years now she has worn a 1.5 Glove on the left and a 0.5 on the right. I’ve recently started using a 1.0 on the right front with good success. In a nutshell, she has two very different front feet. For this reason I have been very particular about keeping up on her trimming. If I let her go too long, the left toe grows and the right heel grows in such a way that how she travels is greatly affected. I can feel it in her right shoulder (it “hikes”) and I can hear it when she walks on pavement or hard ground. She also steps shorter with her right foot. This is more apparent at the walk than the trot. After 6 years of riding her, I've developed a keen sense of what is going on with her feet and how it affects her movement. It's tempting to just knock down the heel on right foot and take back the toe on the left so that the two feet appear similar, but that would cause all kinds of internal problems. This is the confirmation that Zoey was born with and I can only manage it, not change it. Front view of Zoey's front feet. 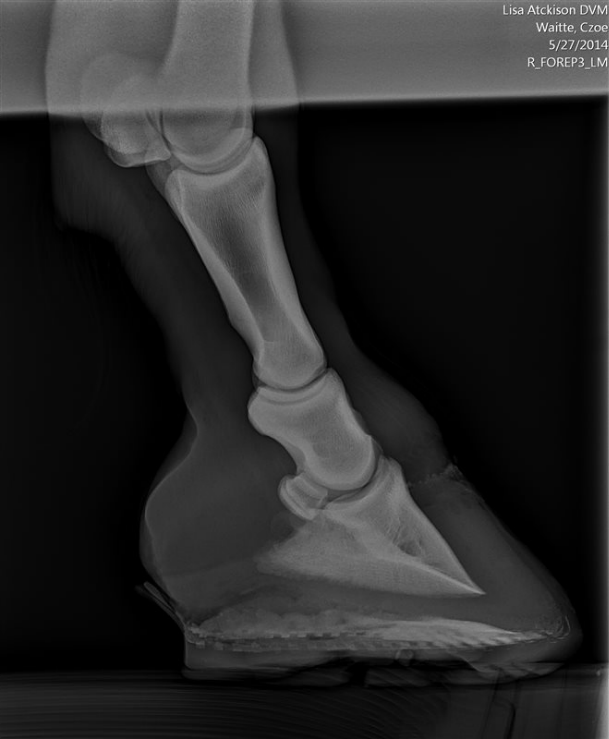 I wet them down so the pastern joint effusion (more on that later) could be more easily seen. HIgh-low syndrome common in Arabians. Note the dish in the RF hoof wall. The black marks on the hoof wall is old glue. Back to April 24th. The farrier trimmed four horses. One horse (Tiki) was very tender-footed after the trim. He had clearly been trimmed too short. Stella and Tyler looked good. Unfortunately, he had done too much cosmetically to make Zoey's feet look similar. 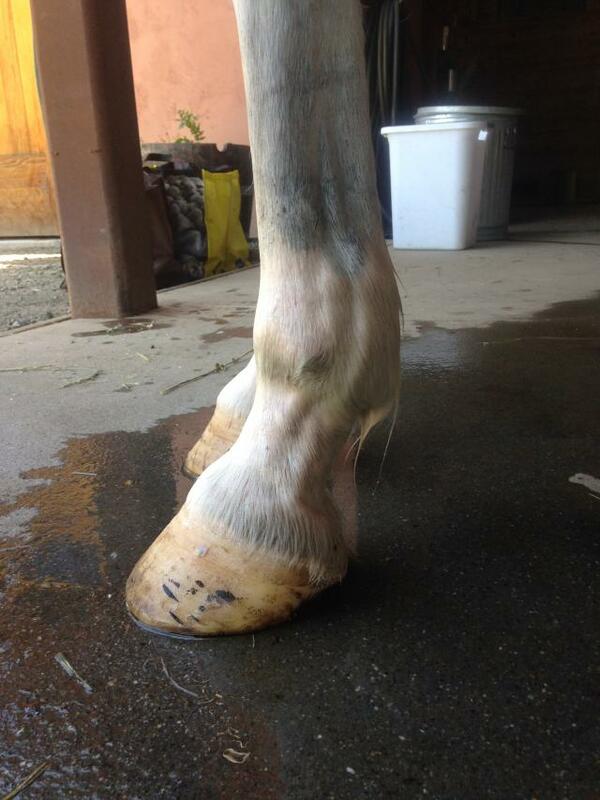 He took a lot of toe and the front of the hoof wall off the left front foot. Overall, all four of Zoey's feet had been trimmed too aggressively, although I didn't fully realize this at the time. I applied the Glue-Ons exactly as I always have. The race on the 26th was the American River 50, which was the topic of my last blog. Zoey and I had a great day and finished 2nd. 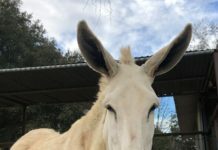 What I left out of the last blog was that between the time that I trotted out for completion and CRI and then went back 45 minutes later to show for BC, Zoey developed acute lameness in the left front. It gets even more perplexing because on the way to show her for BC, we practiced our trot-out and she looked really good. I got two thumbs up from my riding partner, Jenni Smith. Within 24 hours, the lameness was gone. By the time my vet was able to look at her, three days after the ride, she couldn’t find any evidence of lameness. An examination of her soles did show tenderness, and Zoey would hold her head to the outside when trotted in a circle on hard ground. My vet surmised that she had been trimmed too aggressively and the Glue-Ons with Sikaflex hadn’t provided sufficient protection from concussive forces. 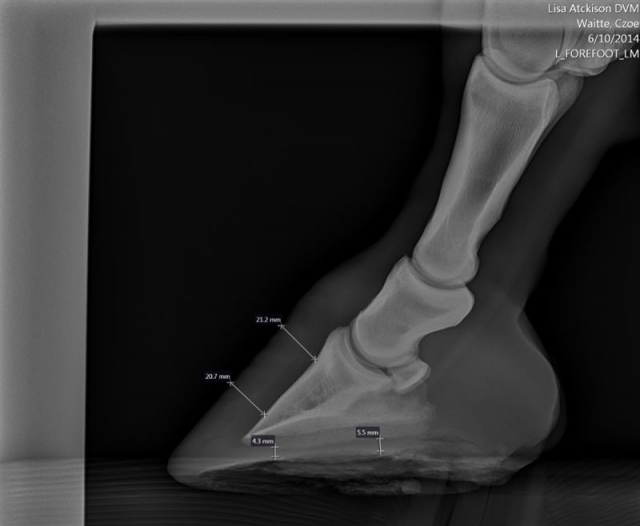 She didn’t have a definitive explanation for why the lameness would appear so suddenly except to suggest that the circulation in the foot had been diminished during the ride and then when it returned it caused pain and inflammation. We returned to our normal training routine for the next three weeks, including an intense circuit around Mt. Diablo. Our next race was the NASTR 75 on May 25th. 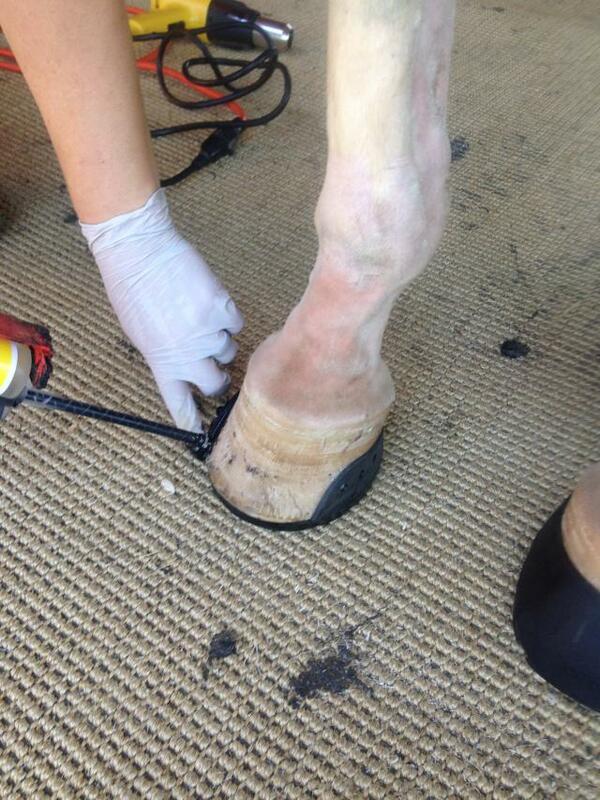 This time Rachel trimmed my horses a week before the race and then I applied the Glue-Ons two days prior to the event. The NASTR race delivered miles and miles of rocks, sand, heat and hills. Jenni and I finished in first and second place. We went through the completion exam and CRI and then showed for BC. Zoey looked good and I actually thought I had a chance at showing for Best Condition. We took them back to the trailer and iced and wrapped legs. About three hours later, we took them to the arena for a leg stretch and roll in the sand. Zoey trotted around with energy but was noticeably off, but this time on the right front. My heart sank. I called my vet during the drive home. She came the next morning, which was 36 hours after we finished the ride. My vet conducted a series of flexion tests and all were negative. She noted effusion of the pastern and coffin bone joints in all four feet. This is the point where the exam took an unexpected turn. When we blocked her right front foot she was then off on her left. When we blocked her left front foot she dramatically shortened her stride in the hind end. The blocks concluded pain in all four feet. This occurred while Zoey still wore her Glue-Ons from the race. My vet did not want me to pull them off right away, thinking they would provide needed protection. 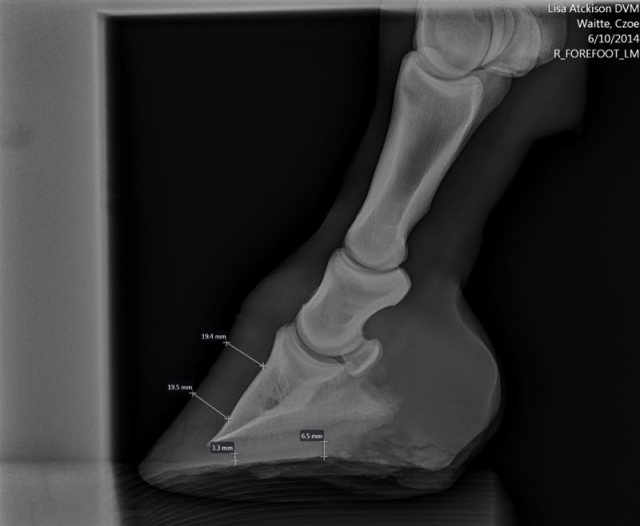 We took radiographs of both front feet and, even with the boots on, could see that her soles were very thin, approximately 30% of normal. We started her on Previcox and I waited a few days to let her joints rest then pried off the boots. As before, the lameness minimized within three days. The effusion was reduced as well. She had a week of rest in her paddock and then easy walk/jog workouts in the Euroxcizer with Easyboot Gloves on all four feet. She looked comfortable at the trot but I could see that she was still stepping short on her right front and coming over her shoulder (see video). Do you see anything at the trot? How about at the walk? 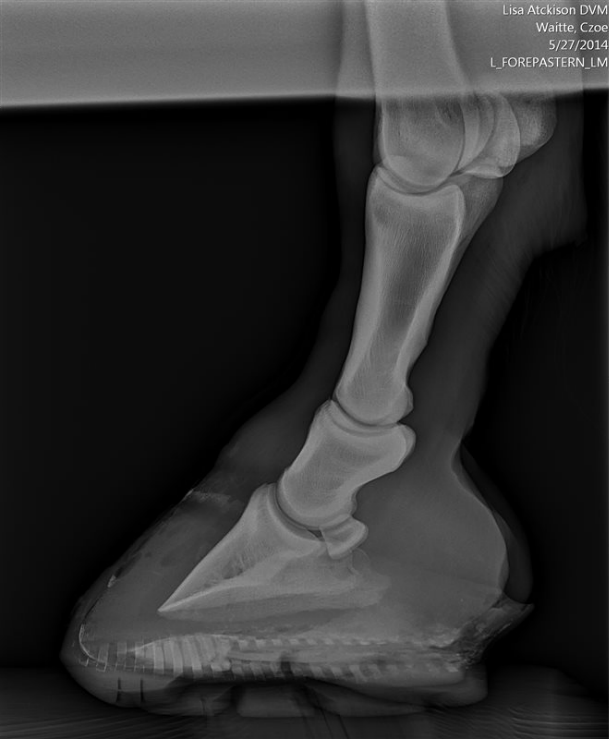 My vet returned to take a second set of x-rays so we had a clear view of Zoey's sole thickness. She also ultra-sounded both front legs from the knees down. Everything look good and her radiographs showed nothing unusual or alarming. 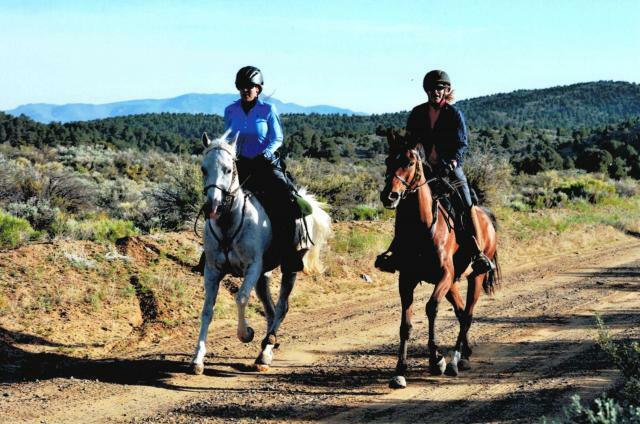 Some minor remodeling and spurring that would be consistent with a 10-year-old endurance horse. She concluded that the inflammation in her joints was the result of her thin soles and therefore she needed 24-7 sole protection. I knew the EasyShoes would be ideal. Rachel returned and we collaborated on our first attempt at applying the EasyShoes, which we did without much difficulty. I gave Zoey a couple of days in her paddock to become accustomed to them and then I started her back on the Euroxcicer program. The improvement was considerable. We didn't have much success getting the back ones to stay on very long — they lasted about four days. However, the front shoes have been on for two weeks and three training rides so far. My vet returned again for a follow up and noted that much of the effusion was gone and Zoey was traveling much better. 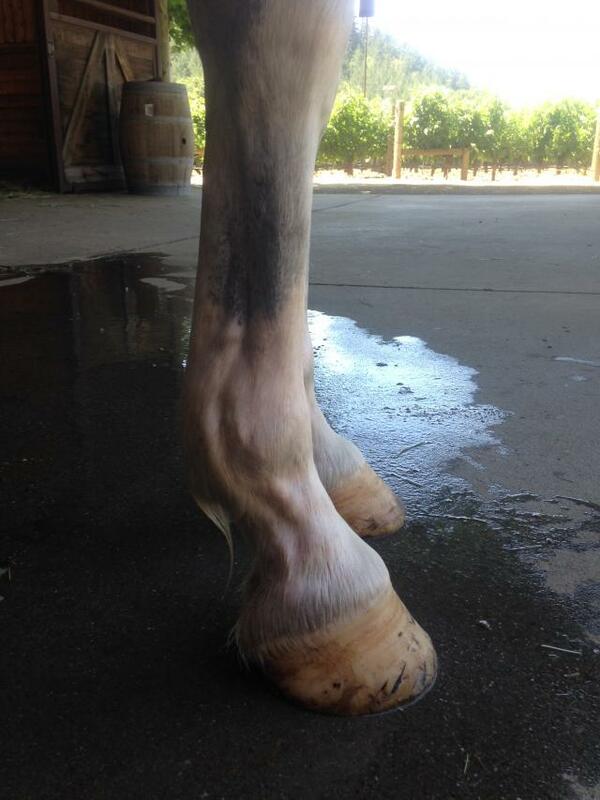 I mentioned already that when you have a horse with high-low syndrome, don't try to change the shape of the foot. This is an unfortunately case in point. Now, Zoey needs time to regrow lost sole, have her feet return to what is their natural balance and have the inflammation subside in her feet. I don't know yet if I will get to Tevis with her this year. Stay tuned!